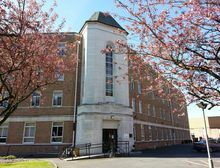 Properties for Sale in Manchester We currently have 9 resale properties listed in the Manchester area. 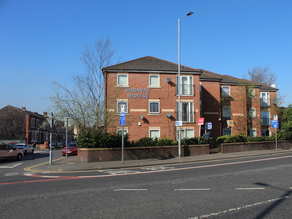 Hopwood House are delighted to be instructed on this modern, ground floor, 3-bed apartment in the extremely popular Linen Court Development, Salford. 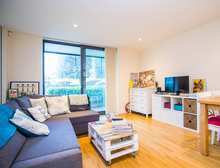 This fantastic apartment would make a great first-time-buy or even buy-to-let investment with a projected rental yield of 7.6%. 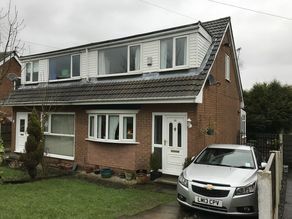 With long term tenants in place, this spacious three bedroomed property in Manchester offers investors a superb low risk, high yield investment opportunity. Demand for property for sale in Salford Quays is at an all-time high. With an increasing number of professionals moving to Salford Quays to be closer to MediaCityUK and the creative hub that surrounds the BBC, ITV and the start-up businesses that seem to be popping up every five minutes. The vibrant local economy has been spearheaded by the millions, if not billions, of pounds invested in the area, a steady stream of new property developments and the influx of professionals moving north from London for a more engaging quality of life. The Salford Quays area possesses a large shopping centre and a theatre, as well as being home to a number of different restaurants and bars. With so much attracting potential buyers to the local area, it’s hardly surprising it has a buoyant property market which is great for anyone looking to sell property in Salford Quays. However, it is essential that you choose the right estate agent in Salford Quays in order to maximize the price you can achieve for your property. The current average value for properties in Salford Quays stands at N/A (April 2019), which represents a change of % in the last 3 months since January 2019. The average price of N/A is an increase of % on this time last year. Detached properties in Salford Quays have the highest average value at £316,581, compared with semi-detached properties (£202,021), terraced properties (£140,853) and flats (£157,511). The market is improving and estate agents in Salford Quays do have a reason to be positive, as the current values represent an increase on the average amount paid for properties in Salford Quays over the past 12 months. The average sale price for detached properties is currently £332,292, compared with semi-detached properties (£213,588), terraced properties (£176,210) and flats (£158,242). 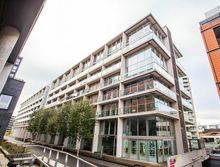 Up until now, people looking to sell a property in Salford Quays have had to choose between “full-service” high street estate agents and “self-service” online estate agents. The former have the benefit of the personal touch and local knowledge. They are generally staffed by people that know Salford Quays and so, for example, can tell the difference between the Lowry Theatre and the Lowry Outlet. The latter are often little more than digital shop fronts, albeit ones which can get a lot of traffic. The new ‘Looking to Sell’ service from Hopwood House finally offers an alternative. For just £1,099, your property will be listed on all of the key online property portals, including Rightmove and Zoopla, but will also be promoted directly to our database of over 20,000 subscribed property investors, as well as via our own website which receives thousands of visits every day from keen investors. With Hopwood House you are able to benefit from a knowledgeable human, providing complete support every step of the way and you will only pay when your property is actually sold.